With the height of the buying and selling season upon us we have some great listings to review this month. It’s that rare time of the year where there’s literally a little of everything in the market. In order to showcase the massive amount of high quality and rare items in the market we’ll be doubling the number of MarketWatch General updates for the months of August and September; with an update every few weeks vs. just once a month, starting with this post. With a total of 4 posts we’ll review the market Movie series by series, starting with a look at the Power of the Force line. 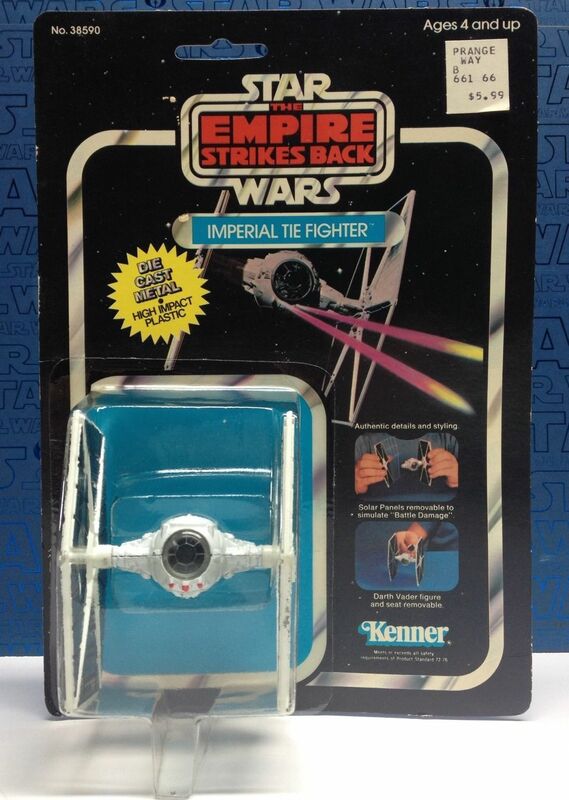 We’ll go in reverse order ending with a review of this Summer’s SW toy auctions in September. I hope to make this an annual update to give a good baseline on each series and a multitude of elements, such as carded figures, vehicles, mailers and other unique aspects of each of the series. With that I hope you enjoy the MarketWatch General update for August – part 1. 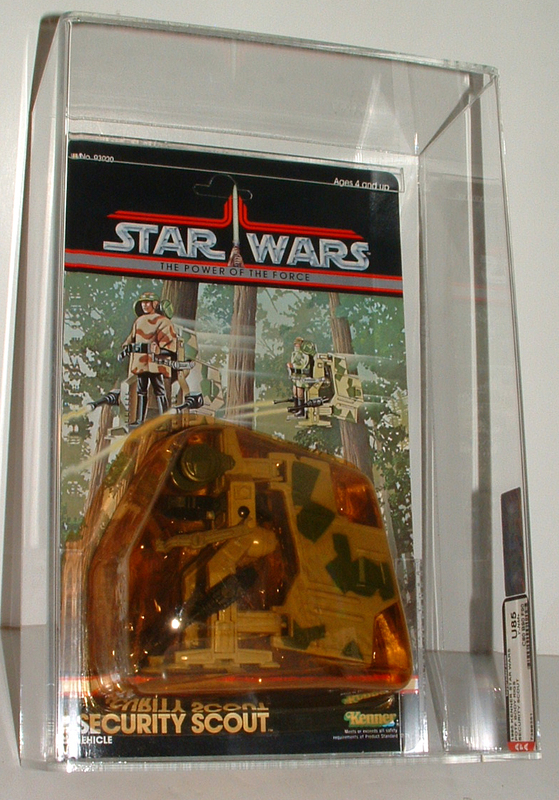 The vehicles for the POTF line were some of the most unique in the Vintage Star Wars toy line. 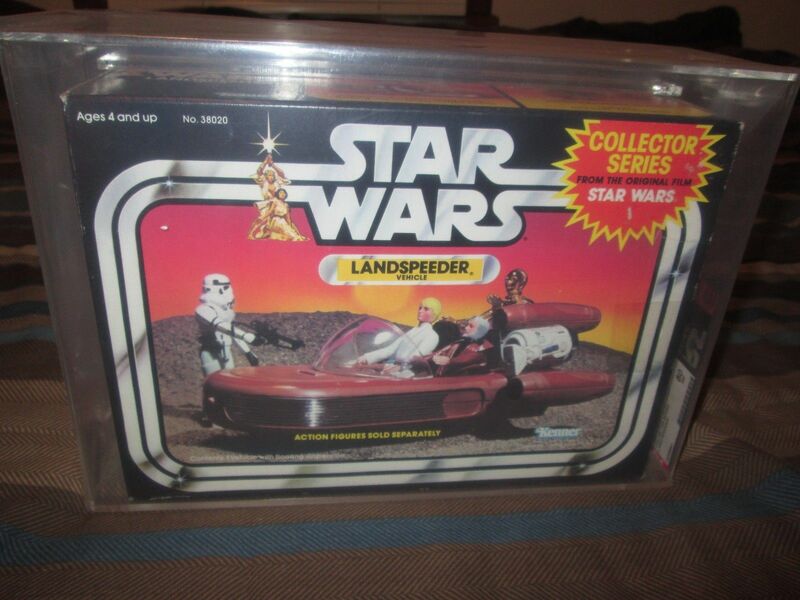 From the great adaptation of the Skiff, to actually making the Ewoks seem somewhat cool with the Ewok Battle Wagon, there were many things to love in the series. As we’re about to see even the mini/body rigs from the series set the mark for coolness in comparison to their early brethren from the ESB and ROTJ lines. The first series of 3 – ¾ inch vehicles to be offered in the Vintage line the mini rigs from the series sported incredible artwork featuring the items themselves in great backdrops. Plagued by the complete encapsulation of the yellow bubbles, not a single clear version of any of the 3 have been graded over the years, and it’s hard to say that any clear examples exist in totality today. Here we have two great examples from the series, the Security Scout and the Imperial Sniper. Both U-graded, meaning they were pulled from a sealed case of mini rigs. Both are cool in their own right as it showed Kenner continuing to be creative with the property and span out in areas that LFL wouldn’t go. Both saw great prices that I would consider on par given the market over the past few years. Up next in the series is arguably one of the best vehicles in the vintage line. 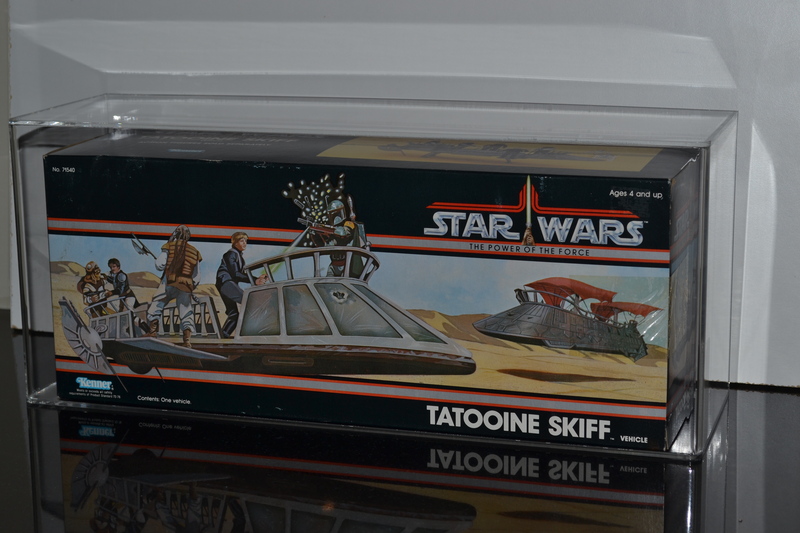 Not only short in production but great in articulation and overall design the Tatooine Skiff is one of the most desirable vehicles in the Vintage Star Wars series. 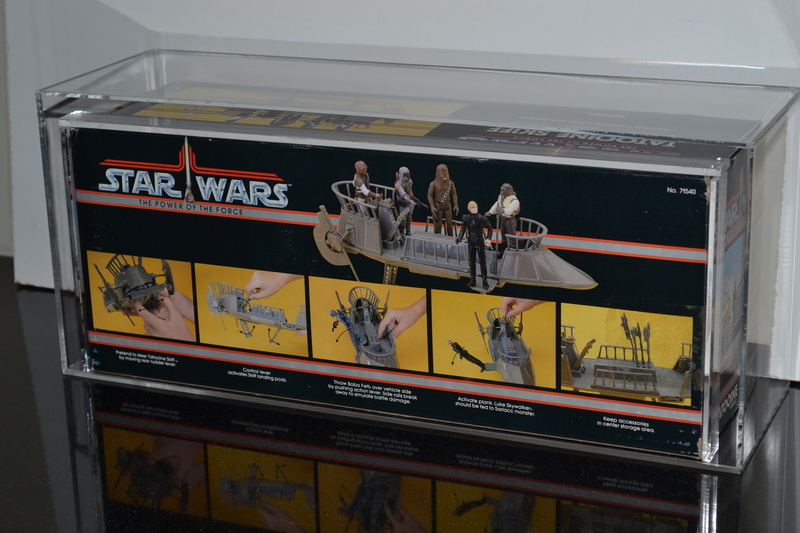 Not only was this a great adaptation of the vehicle from the movie, it was the first and only item from the battle with Jabba that was ever released. With great artwork on the front it truly captures the essence of that moment in the film. It incorporates several facets of the battle including several popular characters. In this case we have a Skiff that went for huge dollars, in the past few years an 80 example would bring roughly $5-700 on a good day, thus having one his the $1000+ mark was an incredible site. 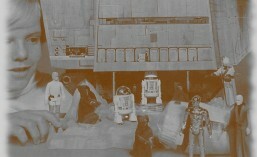 The figure line up for the POTF line was driven out of two areas, 1 new figures and 2 figures from the original trilogy. For the first time figures were packaged with coins to drive a premium price for the items along with driving new demand amongst collectors and children. 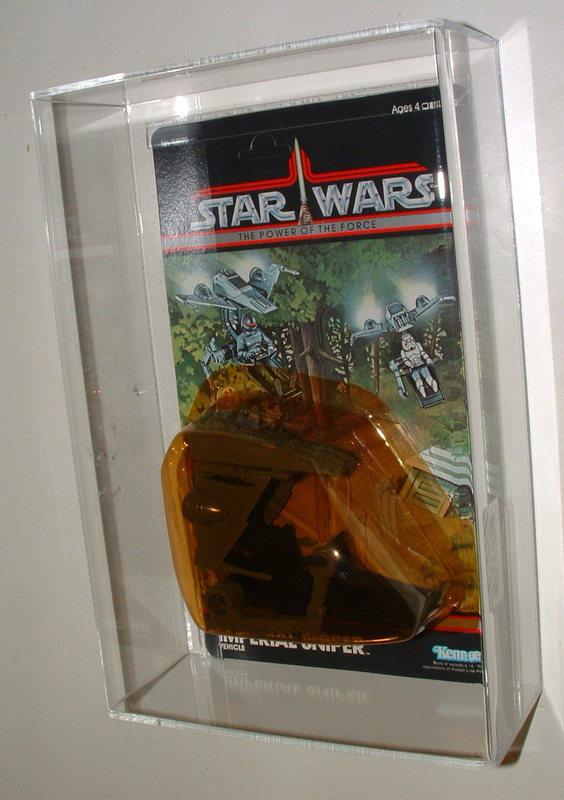 Along with the ROTJ line the POTF line up is plagued by cheap plastic utilized in the production of the blisters, leading to a yellowing rate near 90% over the years. With that in mind we have some clear bubble auctions this month that show just how much of a premium people will pay to have a clear bubble figure in this line. 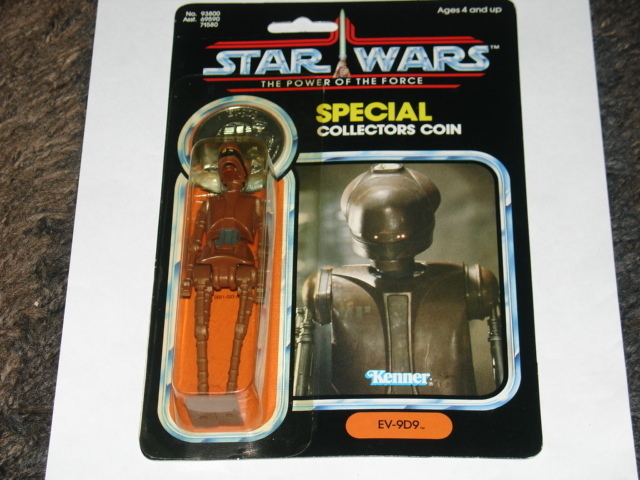 Over the years the MOC series has remained a favorite of not only Star Wars collectors, but action figure collectors in general given their unique aesthetic and coin offer. It’s truly a great way to end the greatest toy line ever created. 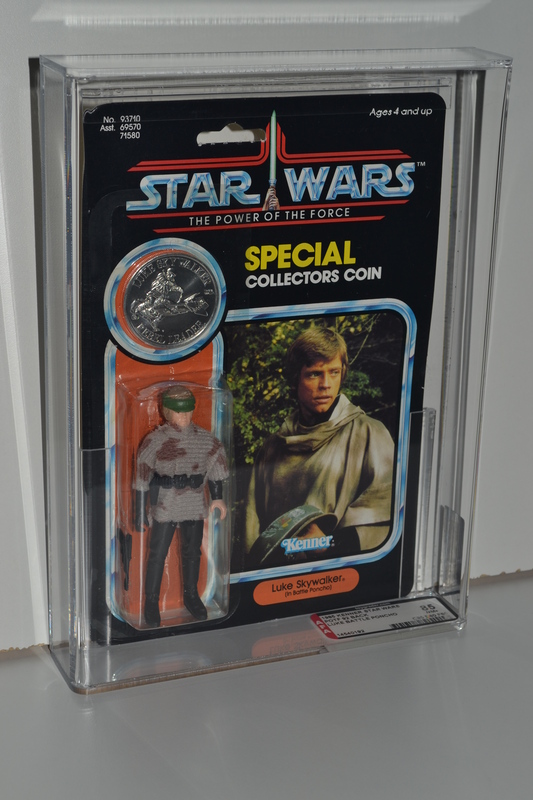 First up we have a Luke Skywalker Endor Poncho figure, this is a great example of this item receiving an 85 clear overall. With a staggering price of $405 this particular item saw an incredible premium over the average MOC Luke Poncho we find on eBay. Thus we have our first example of a clear bubble driving a massive premium in the vintage Power of the Force lineup, with yellow counterparts pulling $150-$225 on average. 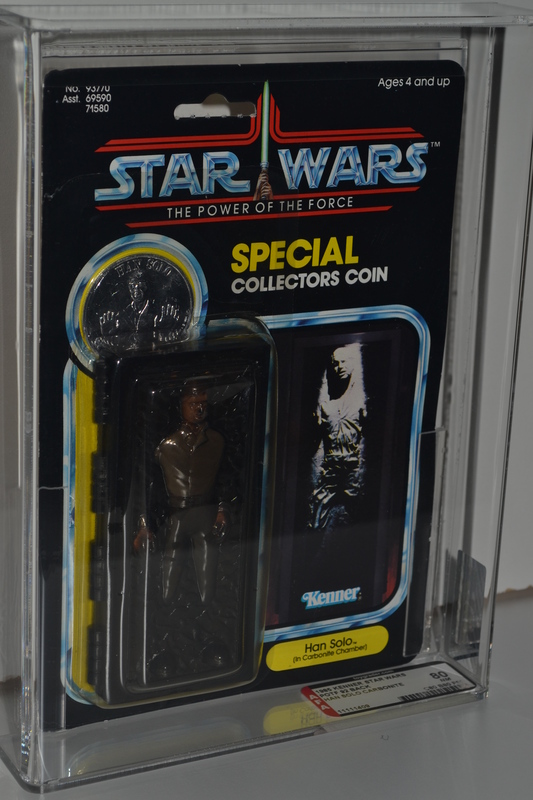 Another incredible figure we saw this last month was an almost impossible to find clear bubble version of Han Solo with Carbonite Block. 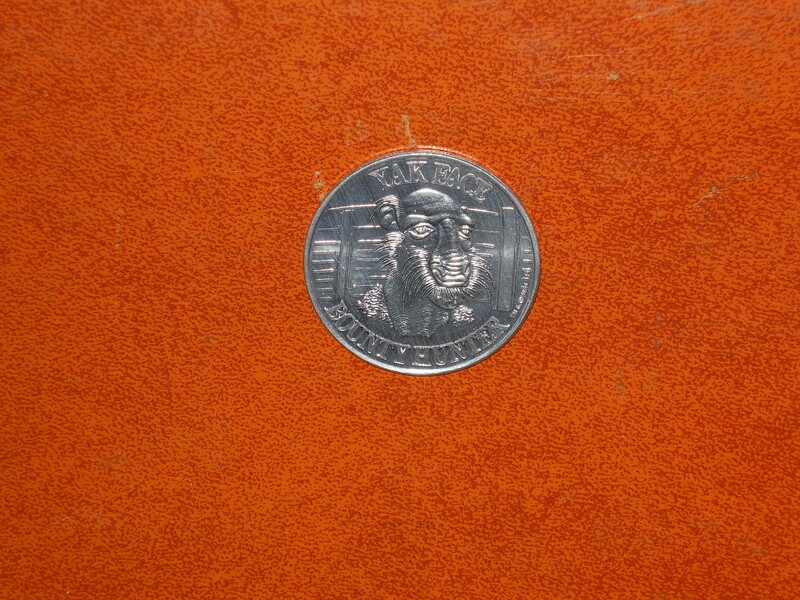 Like earlier items this one saw an impressive price at $405, carrying an overall grade of 80. 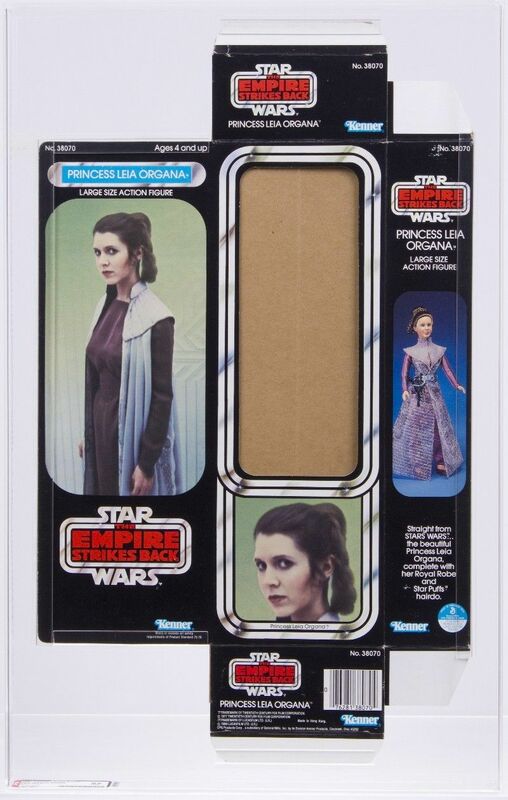 A very nice example and hard to come by in this condition, thus we saw a price with a significant premium to that of a regular auction for a similar condition yellow bubble, (Han Carbonite AFA 80Y- $232 – Han Carbonite MOC Yellow). On the lower end of the spectrum we have the Imperial Dignitary. I’ve always thought this was one of the lamest pieces of cardback art in the line up literally looking like someone took a random shot of the actor as they walked past a white backdrop. Regardless of my opinion the Imperial Dignitary remains a favorite in the line and in this case we see a strong price realized for a relatively average condition item, with an AFA75 grade and a clear bubble. Again I think the thing that drove the price here is the clear bubble, given I’ve recently seen C7 examples sell for under $100 on eBay. One of my personal favorites in the original 92 Amanaman is one of the most unique and large figures released in the vintage line. He is incredibly detailed and well represented overall in comparison to his portrayal in the original film. A headhunter he is also one of the most deadly and intimidating figures in the original line with a staff featuring human skulls. 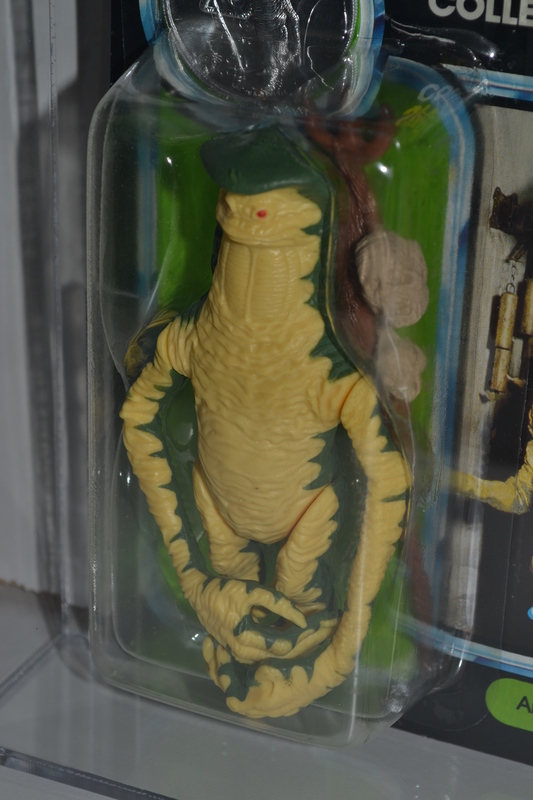 Amanaman is one of the most difficult to find of the POTF line with a clear bubble. This is due in part to his two piece bubble, as the tray has a tendency to turn yellow even in examples where the outer bubble is clear. To find one with both a clear tray and bubble is truly a rarity in the market. Again we see a huge premium for grading and a clear bubble, but this bocks the others given that a yellow bubble example sold on eBay two days later for $134. Here we have a great example of Warok with a clear bubble and an overall grade of 80. 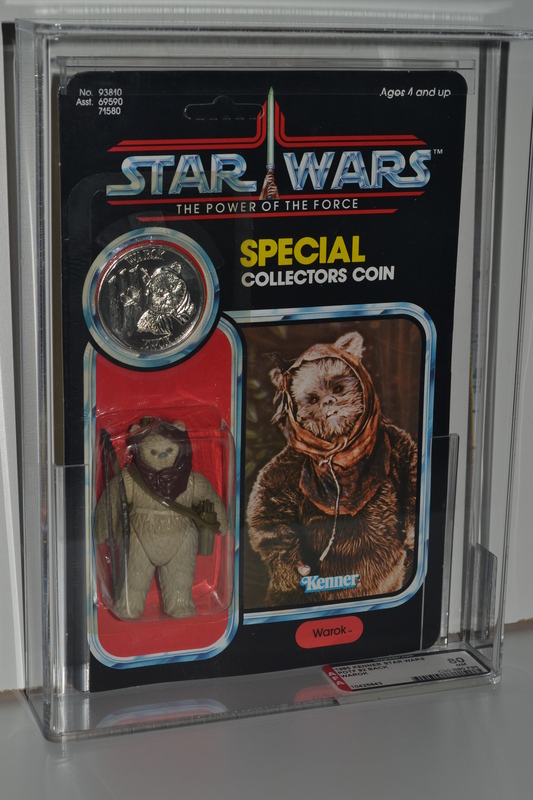 Along with Romba he rounds out the Ewoks in the line, with one of two exclusively released on POTF cardbacks. Although he and his counterpart may be lowest on the totem pole in terms of popularity, he is still a well detailed figure and overall a nice piece to own. Here we didn’t really see a huge premium, mainly because this is one of the few figures in the line that seems to have a strong supply of clear bubble examples. Overall still nothing to scoff at with a price of $165 it’s hard to say this wasn’t a great deal overall. 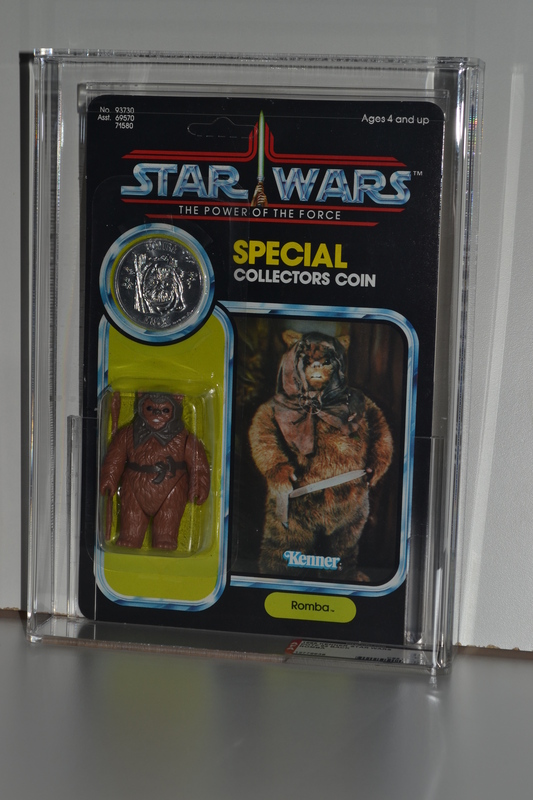 Romba the other of the last two Ewoks released in the original series is also one of my personal favorites. I think that it’s the best molded and detailed of the figures, and his unique looks makes him look a bit more menacing then some of his furry compadres. The example we have here is another MOC AFA Clear figure, with this example being an 85 vs. some ofthe75/80s we’ve seen thus far. With the still clear bubble and great overall condition this particular auction brought $305 vs.one two weeks later, an 85 with a slightly yellow bubble, (Romba 2 – AFA85 Clear – $143 – Romba 2 MOC AFA85 SYB) thus reinforcing the original point that clear bubbles drive a major premium in this series. 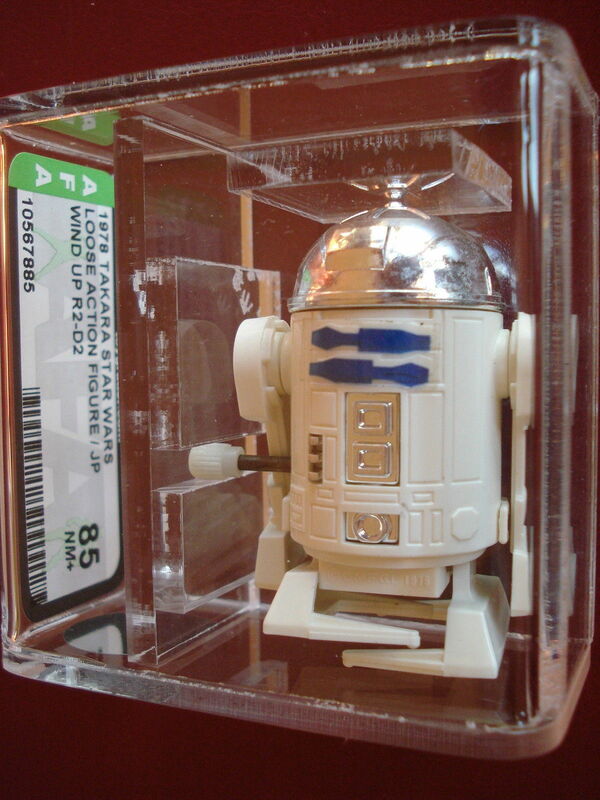 Moving into some non-graded examples we find a nice version of the R2-D2 Pop Up Lightsaber figure from the POTF line. One of the most popular figures of the last 17 he carries a heavy premium vs. some of his counterparts. Here we have an overall good condition figure; C8 or better, with a yellow bubble. Like a few others in the last 17 this particular figure seems to be impossible to find with a clear bubble. Thus it’s easy to see that it would yield a strong price overall, here realizing $176, from a comparison perspective a clear bubble AFA80 sold in the last year for $422. 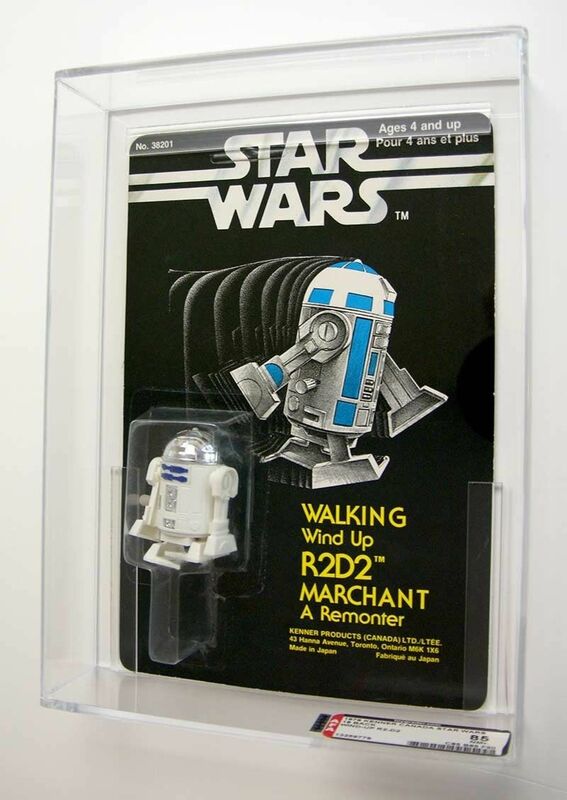 Much like R2; EV-9D9 one of the few droids released in the last run of figures has some strong overall demand and desirability in comparison with some of the others in the lineup. EV-9D9 unlike most was available in another format via Jabba’s Dungeon (POTF Version) along with Barada and Amanaman. This however hasn’t seemed to affect the demand in the market as MOC version drive high dollars. Here we have a lower end but still nice version of the figure with a yellow bubble. This just shows that even the pricey POTF line of MOC figures has a few opportunities for entry level collectors. Finishing off the MOC figures from the last 17 we have a MOC card example of Anakin Skywalker. 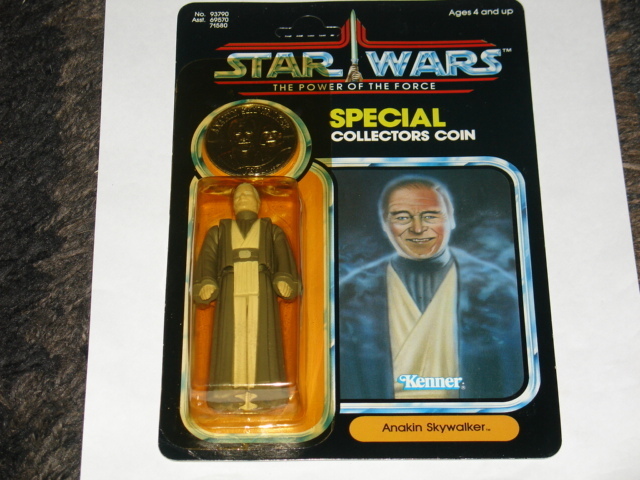 Anakin was released on MOC only in the Australian market and thus they are few and far between in terms of availability. In this case we have a nice C8 or so example with a yellow bubble. Much like Yak Face this particular figure is overly plagued by yellow bubbles with literally just a handful of clear examples left. Given this the figure overall is still on the nicer side of the examples in the market and saw a strong price of $2125. A very nice showing for this example, however others in the last year have sold for upwards of $4-5000 graded, it’s nice to see a this non-graded figure go for $2K+. Here we have a quick rundown on a few other pieces from the POTF of the Force line up. Until now we’ve really stayed focused on the last 17 and the other items released specifically for the line. 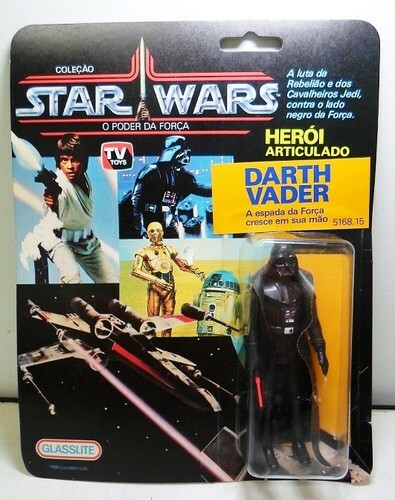 Here we’ll round it out a bit with a few foreign releases and original trilogy figures. 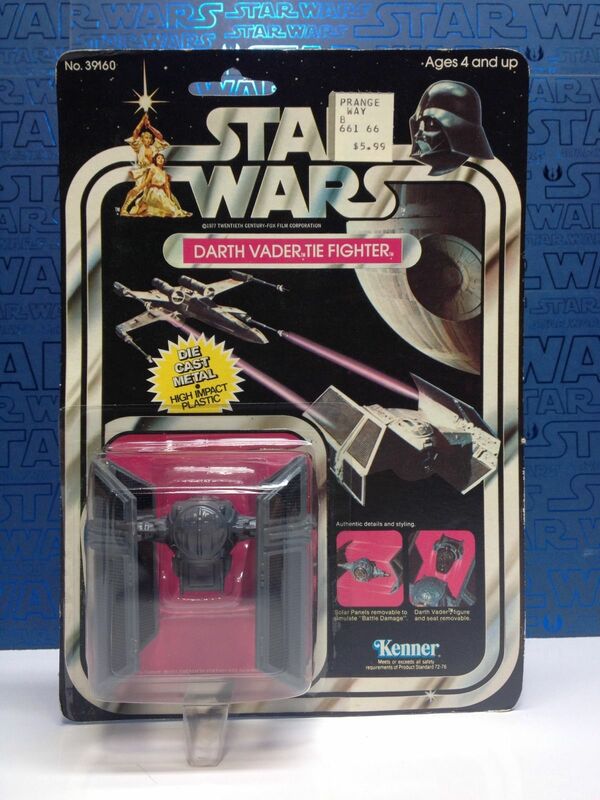 A great item even with a low grade overall this figure stands out amongst other eBay auctions. 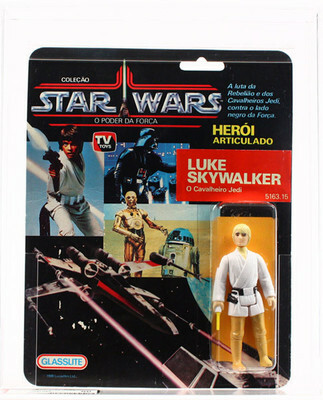 Not only did we not get a Luke Tatooine in the POTF line, but here we have with a unique cardback, thus driving up demand globally for the item. 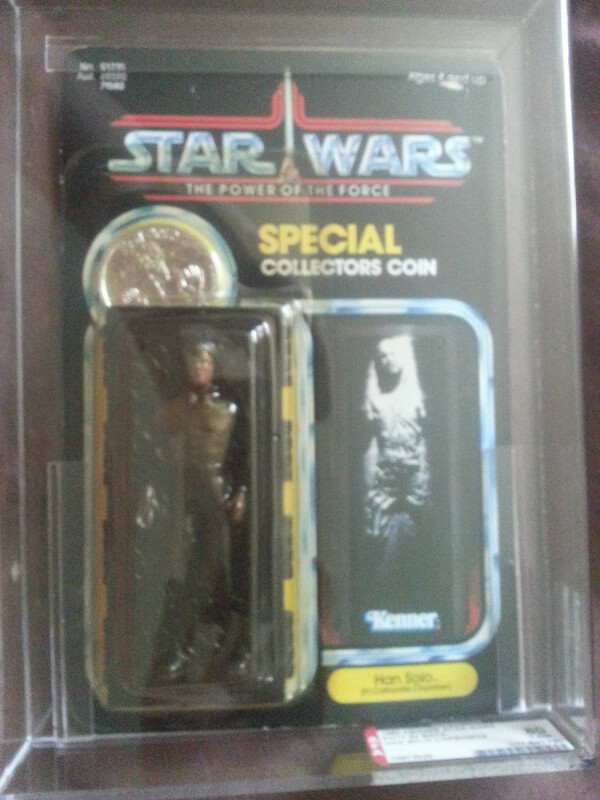 Not technically part of the POTF line up given the cardback style and lack of coin, it does boast the POTF logo. 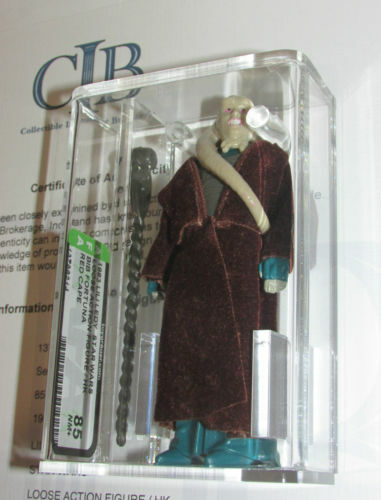 A very cool figure that and a very strong price given the condition this was a cool item to see come up on the market. Our rarest figure of the month also comes to us directly from another land in the Southern Hemisphere, of course I’m referring to the aforementioned Glass Light line of Brazil. 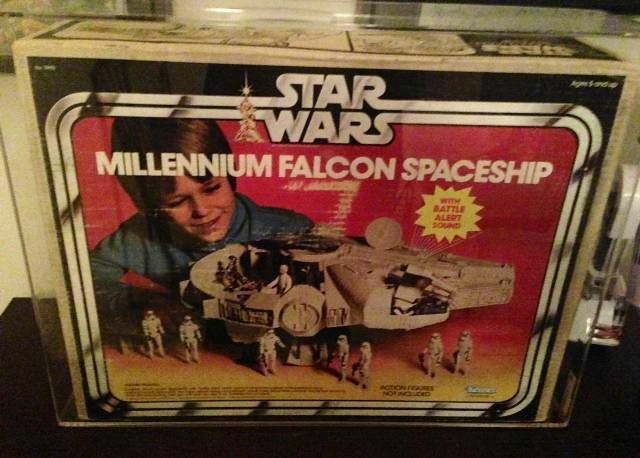 Unlike our Luke this piece saw a price that was down right out of this world. The several thousand dollar price tag was one of the most impressive single figure auctions in recent past. 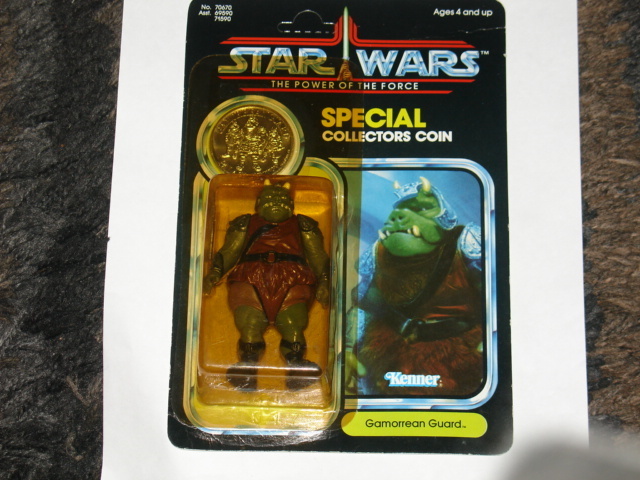 Our only item from the original three toy lines comes in the form of the super rare Gammorrean Guard on a POTF cardback. 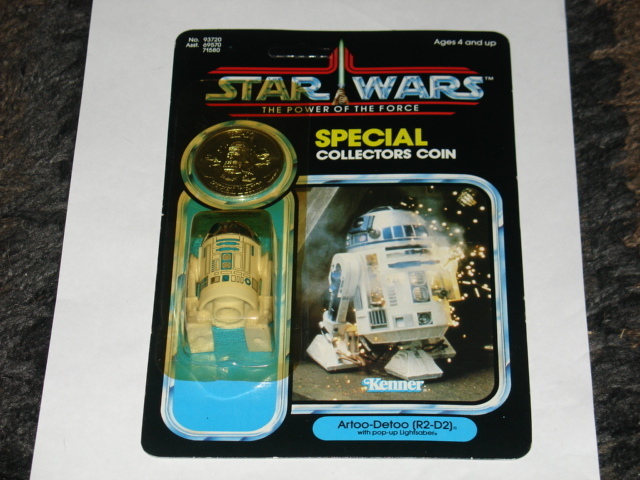 Along with Nikto and the At At Driver this little gem is one of a few of the original trilogy figures to be released in short supply. With the rarity we see some obvious association with price; however this particular piece didn’t see a crazy price like some of others of this Summer. Instead we see an average to low price for an average to low condition figure. Thus even in a time of huge premiums, poorer condition items seem to be more consistent with price trends of the past few years. We would be amiss not to mention the mail in coin offer and its tie to this series. We’ve seen the last 17 where we see the bulk of the coins that were released. 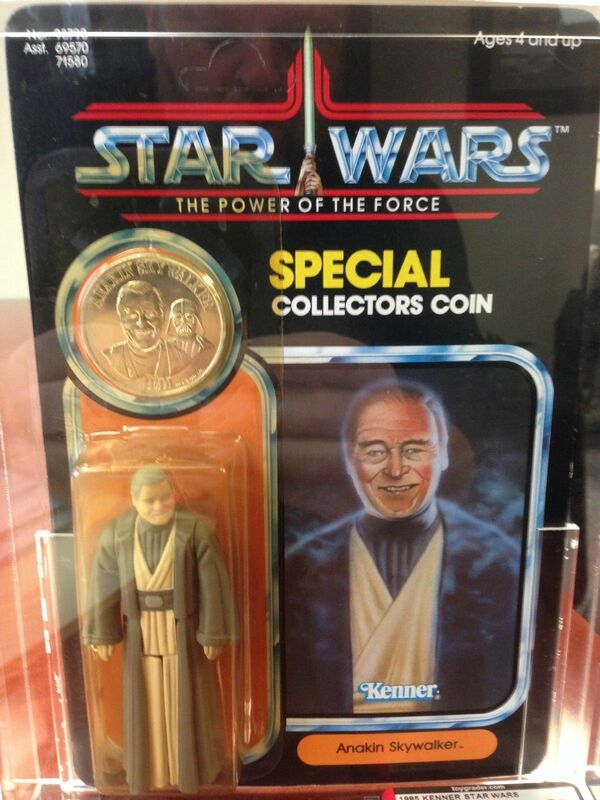 But in conjunction with the last 17 and other POTF figure releases, Kenner released additional coins (Category 4 and 5, depending on how you categorize the coins). Here we have a light sampling of these items as well as a Yak Face coin that did quite well. 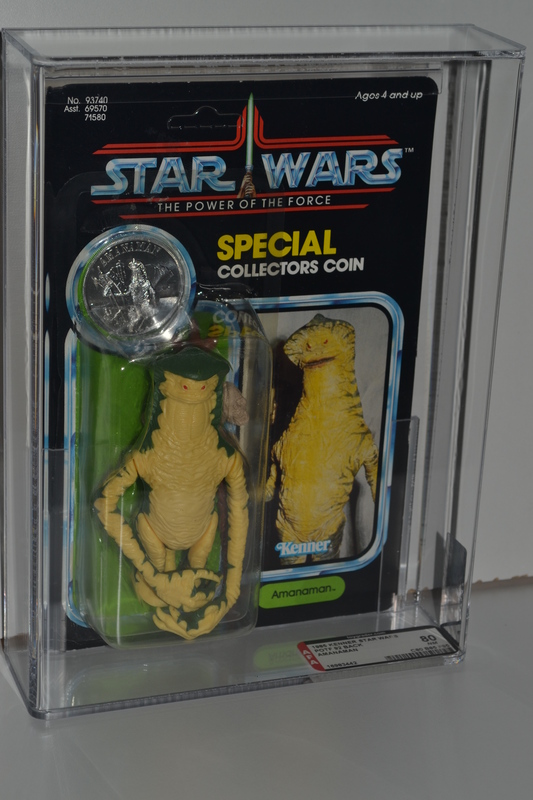 Overall the auctions here did quite well, Greedo has traded in the $4-500 range consistently over the past few years, we have the aforementioned Yak Face that is $1-200 up from auctions in the past few years, thus looking good across the board. 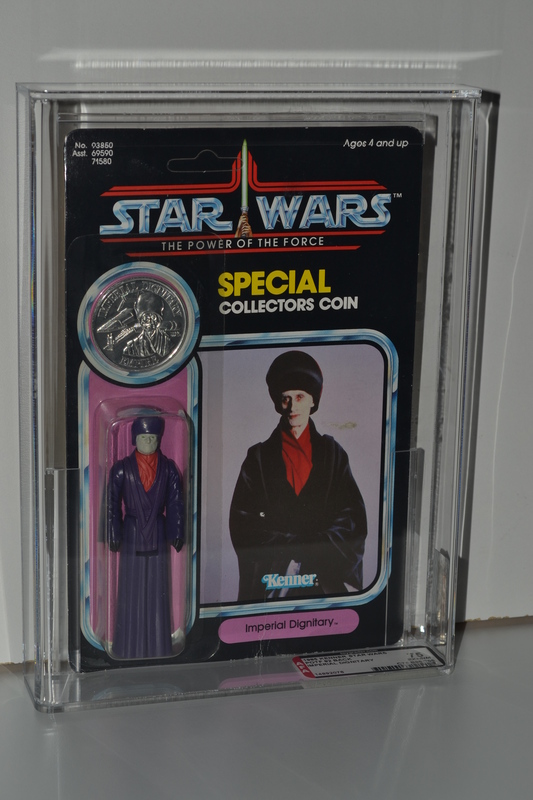 The one real value vs. recent history I saw here was Bib Fortuna which was inline even at $299 as other prices were off the charts. 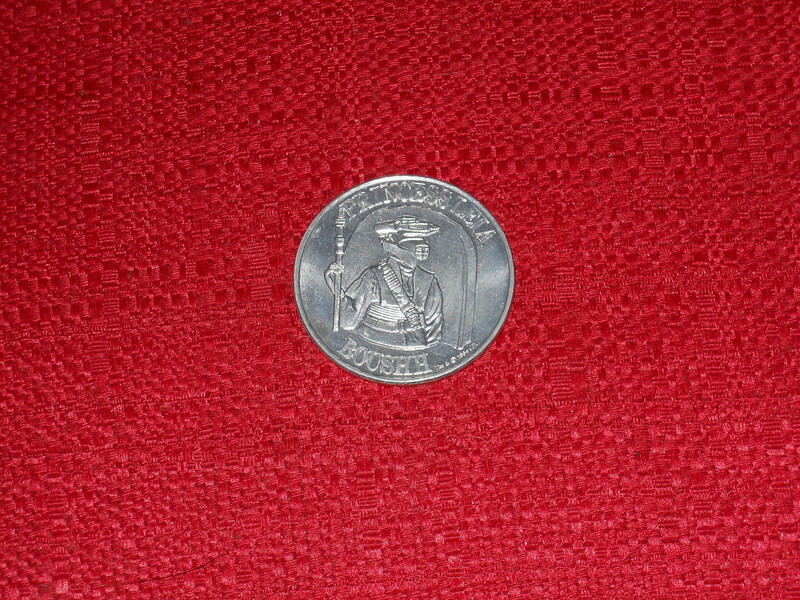 There were several other Category 4 and 5 coins on eBay recently a lot being offer auctions or BINs. Thus we’re not sure where they ended up, but with some of the starting prices even a 50% take would be a huge gain over what we’ve seen even as recent as this past year. Greedo Coin – $625 – C9 – Greedo Coin – Up over the average of the past few years, but it’s always in high demand and short supply, thus it’s probably par for the course given prices these days. Boushh Coin – $556 – C9 – Boushh Coin – Same as Greedo up over the average of the past few years, but it’s always has a market and thus is inline with the market. 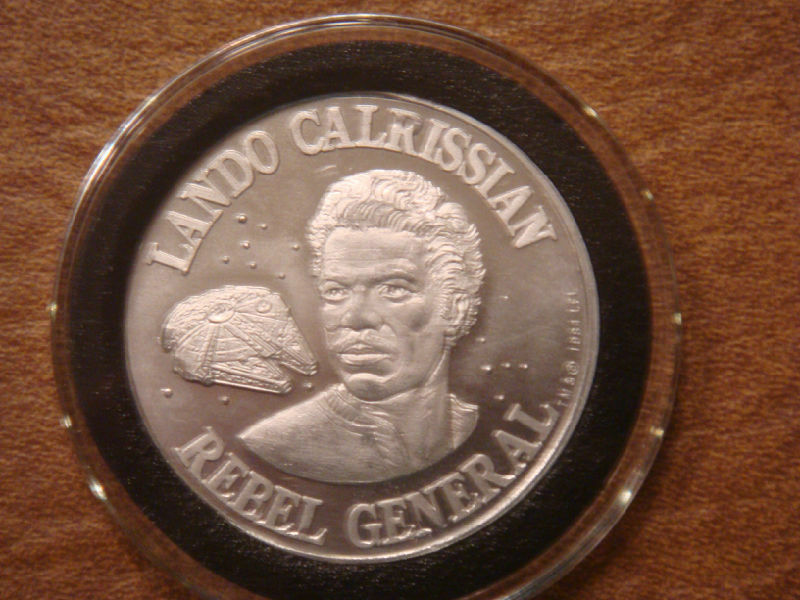 Lando Calrissian Coin – $305 – C9 – Lando Category 6 – Category 6 – Frosted Coin version of the original coin that was packaged with the Lando General Figures. 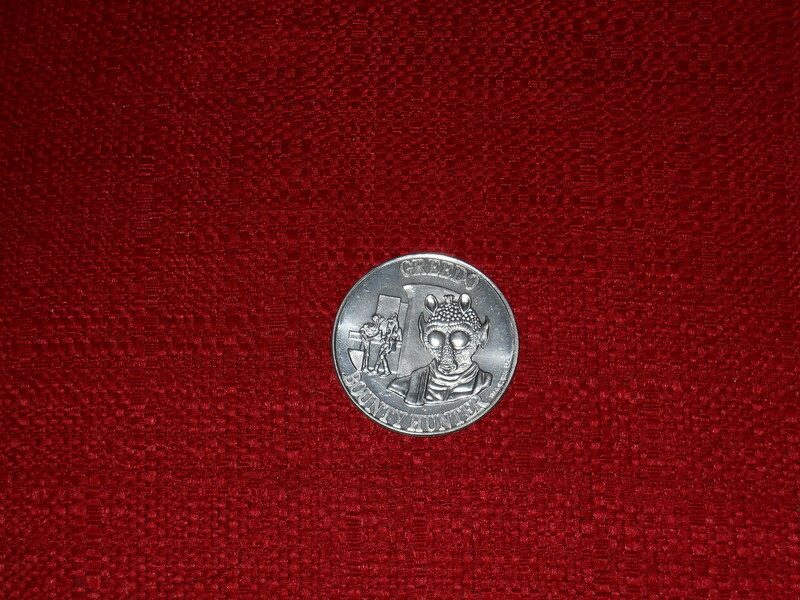 Yak Face Coin – $299 – C9 – Yak Face Coin – The only MOC release coin we’ll cover, it’s way out of line with the price, at a price that’s nearly double what you would see for these on average. 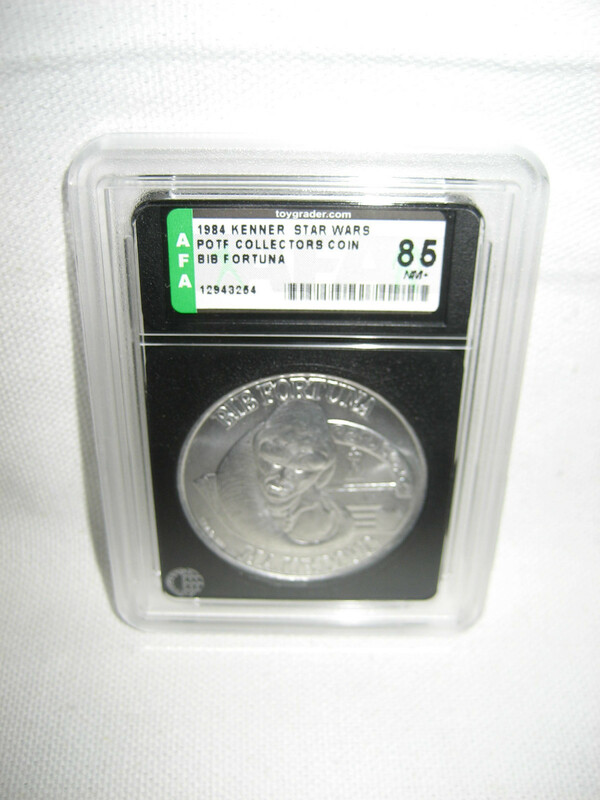 Bib Fortuna Coin – $299 – AFA85 – Bib Fortuna – A great item a steal at $299 especially if you’re looking for a graded example, one of the best POTF values I saw this past Summer. 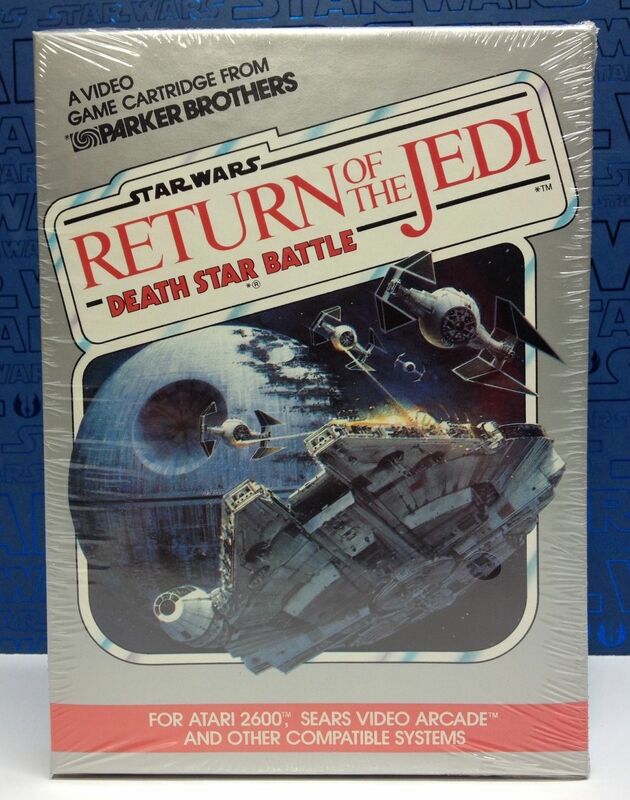 Well that wraps up our general update for August, featuring a focus on the Power of the Force line, we’ll pick up with Return of the Jedi in a few weeks.